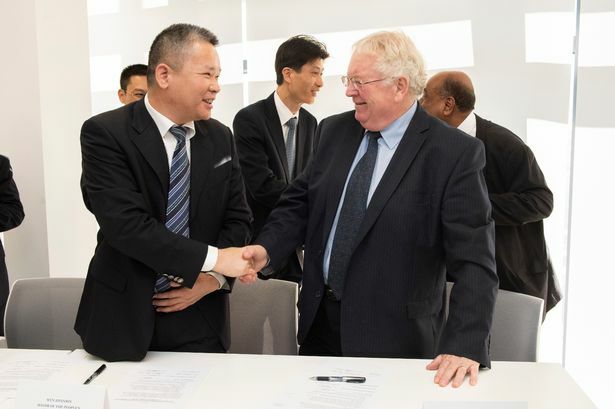 Chinese politicians and business leaders see the Humber region as being a key supplier as it forges ahead with an ambitious offshore wind plan. Delegates from Yangjiang, in southern China, visited East Yorkshire on Friday, November 2 on the hunt for business partners and suppliers who are key players in the renewables sector. The province Yangjiang is in, southwest Guangdong, has a vision of generating 68GW of offshore wind power by 2035 – 10GW of which will be off the coast of Yangjiang. Yangjiang’s mayor, Wen Zhanbin, visited Hessle’s ergo centre on Friday morning, to sign a letter of intent to use the Humber region as a key supplier for its offshore vision. Mark O’Reilly, CEO of Team Humber Marine Alliance, one of the UK hosts and organiser of the Humber leg of the inward mission, said: “The vision is for Yangjiang to serve as a hub not only in Guangdong, but also in neighbouring Fujian, Guangxi and Hainan. 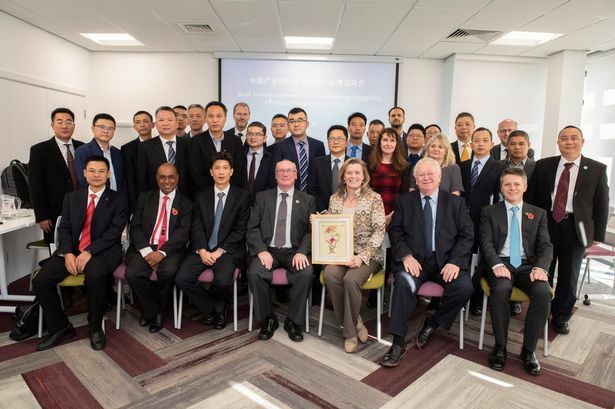 “This presents an excellent opportunity for established companies in the Humber region to promote their expertise and potentially contribute to Yangjiang’s ambitious targets. 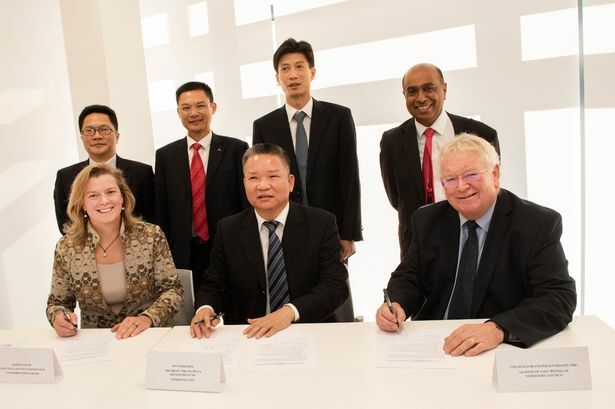 Led by the Mayor of Yangjiang, the group of delegates which visited the region comprised of municipal authorities, developers, turbine manufacturers and design institutes. They will also visit London to meet with the Department for Business, Energy & Industrial Strategy, the Department for International Trade and the China Britain Business Council, as well as visiting Manchester. Representatives from the Humber LEP, Aura at the University of Hull, Offshore Renewable Energy Catapult, Green Port Hull and Team Humber Marine Alliance also presented to the delegates during their tour of East Yorkshire. Yangjiang’s offshore wind ambitions were also outlined during the visit, and the city is already out of the blocks. The city has already approved 1.3GW of offshore power, will approve a further 1.7GW this year, and another 7GW by 2020. As well as visiting the ergo centre, a green energy hub at the Bridgehead Business Park in Hessle, delegates also stopped at Modal Training, Immingham, and had a tour of the fish docks in Grimsby.